2BD/2BA Fully Furnished Spire Condo in Downtown Denver. This 1083 Square Feet, 21st Floor condo features: Queen Bed in Master; Queen Bed in 2nd Bedroom; Balcony with Mountain Views; Slab Granite Counter-tops; Stainless Steel Appliances; European-Style Cabinetry; Customized Track Lighting; Ultra-High-Speed Structured Wiring; Concrete Ceilings; Hardwood Floors; Flat Screen TV in Living Room; Flat Screen TV in both Bedrooms; Full Size Washer/Dryer; Walk-In Closets; 1 Assigned Parking Space; Social ClubFitness Center; Pool/Hot tubs; Media/Screening Rooms; Business Center; 24-Hour Concierge; Full Time Doorman; There is First Floor Retail coming soon: Revolution Cleaners, Connect by Hertz, Snarf’s Sandwiches, and Ninety Plus Coffee; Virtual Art Gallery; Spire is One of the Tallest Residential Buildings in the Western United States; Directly Across the Street From the Denver Convention Center, the Denver Center for the Performing Arts, and a Few Blocks from Larimer Square, Lower Downtown, the Pepsi Center, the Cherry Creek Bike Path, and the 16th Street Mall; 2-Level Amenity Area Has a State-of-the-Art Health Club Facility, Media Room, Pool-Side Club Room/Bar, Billiards Room, and Landscaped Outdoor Terrace with Grilling Areas, Fire Pit, Outdoor Pools, Hot Tubs and Wireless Internet. To view more information, photos, and maps about this property, please click here. 2BD/2BA Condo 9 Miles from DIA. 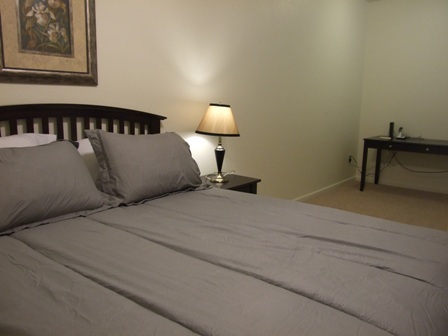 Close to airport, perfect for the frequent traveler or airline employee. Close to area hospitals and shopping. This property features: Washer/Dryer in Unit; Swimming Pool – Heated; Spa; Patio; Meeting Room; Lounge; High Speed Internet; Fully Equipped Kitchen; Exercise Room; Community Clubhouse; BBQ/Cookout Facility; Air Conditioning – Central; Designer Furnished, Newly Built 2 Bedroom, 2 Bath; Ground Floor Condo; Light, bright and designed for comfort! All the comforts of home with cable TV, high-speed internet and unlimited long distance telephone. Fully appointed with linens, kitchen completely equipped. Just steps from the clubhouse, pool, hot tub and exercise facilities. All new appliances, carpet, washer/dryer and fireplace. 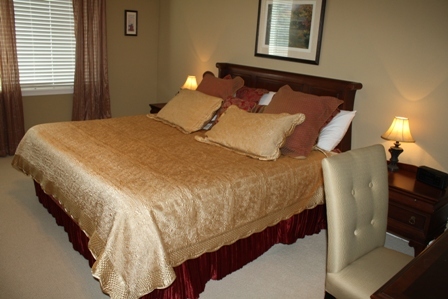 Large Master Bedroom with Walk in Closet and Private Full Bath. Close to everything you need. Easy access to all Interstates. Small dog okay with deposit. NO SMOKING. To view more information, photos, and maps, please click here. 3BD/3.5BA Executive Townhouse in Gated Greenwood Village Community. This 2300 Sq Ft Fully Furnished, 2 Level, 3 Bedroom/3.5 Bathroom Townhome in Greenwood Village features: Beautiful Hardwood Floors Cover the Main Level; Kitchen Has Open Layout with Upgraded Granite Countertops, Stainless Steel Appliances & Upgraded Cabinets; A Gas Fireplace to Create Ambiance & Heat; Gated Community; Large Flat Screen TV in The Living Room; Upstairs Has Bonus TV Room; Two Office/Desk Areas; Master Bedroom Has King Bed, Large Flat Screen TV & Walk In Closet; 2nd Bedroom Has Queen Bed; 3rd Bedroom Has Double Bed; Gorgeous Master Bathroom Featuring Large Tub, His/Her Sinks, & Separate Shower Area; Full Size Upgraded Washer and Dryer in Laundry Room; 2 Car Attached Garage; Fenced In Backyard with Patio Furniture; Community Amenities: Pool, Tennis Court, Volleyball Court, Basketball Court, and Walking Trails with Access to Cherry Creek State Park and Cherry Creek Lake. Arapahoe County – Close to Centennial Airport; Cherry Creek School District – Cottonwood Creek Elementary – Campus Middle School – Cherry Creek High; 1 Block to Park, 3 Blocks To Cherry Creek State Park, Open Space & Trails. To view more information, photos, and maps about this property, please click here. 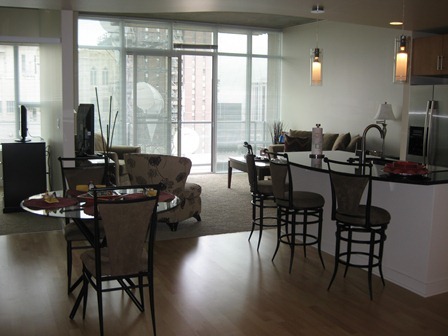 To view all the amazing fully furnished rentals that AvenueWest Denver has to offer, please visit us at http://Denver.Avenuewest.com or give us a call at 303-825-0000.